Calm electronic clouds are forming and gathering slowly... Then there appear some half-nature, half-electronic generated sounds. This is how this enthralling album begins. After a while additional tonal spheres are to be heard, they are always coloured and layered over one another with fabulous sense of atmosphere. Until the very end of the album we are surrounded with a slightly-electronized piano-contemplative mood, softly and yet interesting intermingling with recurring nature sounds and additional tonal sweeps which enlarge the room to feel this music. 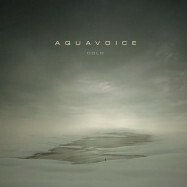 Cold is a very specific, soothing and nevertheless challenging and even disturbing variety of ambient music, whereby Aquavoice uses tonal systems which are characteristic also for other sophisticated - and not so abstract - electronic genres. A highly recommended album. , creating an amazing abstract journey in a musical universe as ambient as a storm of wind on a crystalline plain. cofounder. With its organ surges of which hem chimerical waves, Cold VIII is the most animated track on Cold. A beautiful piece where sonorities spark on the top of lunar seas weaved to a synth with stroller waves and twisted solos which ravel in a ball of multi-colored sonorities which collide in wadding forged of steel. One of the best tracks on Cold! A soft and discrete incantation goes with a synth from which waves and streaks filled of spectral zests wander windingly among Japanese guitar notes; Cold IX is as much intriguing as Cold X which borrows an unsetting and harrowing path with its furtive noises, its weak hooting and its doors which squeak in an odd cosmic nebula. A title that ties the throat, just like the intriguing Cold XIII. Incongruous background noises and resounding circles floating around minimalists chords, Cold XI swims on a beautiful and warmth bass pad. No rhythms, nor even the shade of a tempo, everything lays in suspension as on Cold XII of which the limpidity of the structure is based on beautiful morphic loops which undulate in this psychedelic-electro's aura that surrounds Cold since its very first notes and which is concludes by Cold XIII and its heavy ethereal structure whose breaths push the imagination of the listener to the doors of darkness which prevails well beyond our borders. left me as perplexed as charmed per moments. Cold is an album difficult to tame because we are constantly immersed in a sonata for background noises in a constant search of an out of joint harmony. There are great moments. h2 and disconcerting moments, I think in particular of Cold IV, VI, VIII and XIII which make that us seeking to discover more on each listening. An undeniable sign of the immense depth which lives within Cold. A lovely bright metallic tone (with the subtlest of vocal qualities) shimmers through the air over beautiful tinkling effects, like water slowly trickling through a fissure in the rocks down to some subterranean lake. Ideal music for summing up the band's name I suppose. A pulse starts to be heard then fades away as we enter Part 2, odd little samples accompany the transition. The feel now becomes a little warmer. There are quite a few layers of sound here, each working as one wonderful whole but not over cluttering things so retaining the exquisite beauty. We again move through to the next part on the back of samples of someone clattering around doing some work. Faint speech can just be heard as more lovely shimmers, most quite metallic sounding with a strange warmth to them, float through the air. Part 4 starts with a strummed two-note loop with a strange scraped aftersound. A second loop, this time forming a bass line joins the first and between them they create quite a hypnotic effect. We are back to shimmering drones for Part 5 but this time seeming more like a heat haze accompanied by odd animal noises. Manic utterances made me think we were going to take a walk on the dark side but then a lovely slow melodic line materialises changing the mood completely. The 6th Part starts with some echoing pulses that almost mimic the sound of a cuckoo. We then get samples of what sounds like a busy cafe. These are then juxtapositioned by a series of explosions. All this is over a very sparse backing which heightens the eerie effect. Soft mellotron pads and flutey synth then make an entrance but their lightness and beauty seems in strange contrast to the backing. This is a very curious but highly compelling track which I just had to play again before moving on. I wouldn't say that revisiting it increased my understanding but it did heighten my appreciation still further. Part 7 initially strips things right back with plucked strings, the sound of a man and child speaking and subtle little effects. Repeated echoing tones take over with curious scraping sounds in the background. The next part features an organ rising out of a sea of ticking and rumbling effects, to eventually stand in near isolation until the most prominent melody on the album so far wafts over the top. The 9th Part has a little warm warbling tone over some immensely deep rumbles. There is a sense of unease however though this is contrasted by a simple almost playful melody. The drone fades away as tinkling effects become more prominent. Relaxing stuff certainly, but with a strange edge to it. The deep drone returns for Part 10 but it is so low that it is on the edge of hearing. Slow footsteps can be heard as crystalline tones drift skywards. A door creeks. It all has a rather dreamy feel to it that could at any time turn to nightmare but doesn't. Whispers can just be heard but not made out. Part 11 is somewhat more experimental in that it uses a rather unsettling glitch effect followed by rapid note loop. Other than this the backing is rather soothing but on the whole I didn't find this track an easy listen. Part 12 is a completely different matter however in that it is supremely relaxed with sampled monologue over the top. The Final Part is another curious but somehow satisfying piece that has to be heard a number of times to be fully appreciated. All sorts of effects, some windy, some like deep breathing, others insectile or bestial all weave a strangely organic tapestry over which a slow three note mournful melody hangs, subtly mutating as it goes. There is a curious repeated hissing stab that brings the CD to its conclusion. This is an "ambient" album of the highest quality. Every piece is supremely crafted. It seems like tremendous care and skill has gone into creating or selecting every sound and then combining them together in just the right setting for maximum effect. This might make you think that the music would be rather clinical but that most certainly is not the case. It's rather as if the artist knew what he wanted to say and made sure that the sounds were just right to do so. I am sure the ideas come first then the sounds. These tracks are true compositions not just a series of nice multilayered pads (as is the case with some inferior ambient music). uses tonal systems which are characteristic also for other sophisticated - and not so abstract - electronic genres. All in all, this is a highly recommended album. has invested a lot of attention and time to the outcome. Cold is a gently morphing and flowing textural piece of work which comes in 13 "parts", breathing a beautiful soft glowing and vibrant brightness. The nicely layered dreamy soundscapes also occasionally feature some Polish spoken words, melancholic undercurrents and environmental/nature sounds. The fifth track is something rather different with its rather confusing, weird electronics mingled with shouting/animal sounds. Fortunate enough after that, things slow down again to shimmering, vibrating ambience, with rough, grainy edges & twists. kindred piano returns, again weaving a soft cascading tapestry of mesmerizing sounds. I wouldn't characterize Cold an easy ambient recording, as it shows quite some contrasts, adventurous elements and minimal structures. But those who give it some thorough and attentive listens will soon discover its intrinsic beauty and craftsmanship.